Last week, I had the great pleasure of spending some time working on a BI-centric presentation of neo4j. Tereza subtly re-introduced me to Prezi, a presentation format that I had already used a couple of years ago when I was still working for Imprivata. I found that a great tool had only gotten better, and that it was actually quite a lot of fun to store and present neo4j this way. After all - when you think of presentations in general, and prezi more specifically - it's actually quite easy to represent any presentation/process as a graph. So I had this weird idea: what if I would create a prezi-presentation about neo4j, and a simple but complete little neo4j database that would essentially contain the same information as the prezi - so that people could explore neo4j - in neo4j. Neo4j presenting itself in a neo4j database. I know - it's a bit of a joke. But here goes anyway. I actually quite like the result. It's a nice overview presentation - and I must say I am particularly proud of the "elevator pitches" that I created. An elevator pitch is supposed to explain a concept to another person, while you're in the elevator together. Depending on the size of your typical high-rises, that means that you would have between 10-20 seconds. Short. 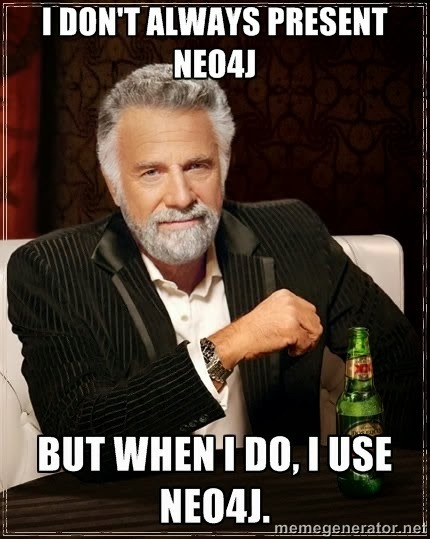 So how do you explain neo4j in that time? Well, I think the trick is to know - or at least make some assumptions about - who you are talking to, and tune the story to the audience. There's a couple of other "pitches" in the prezi, covering other audiences like developers, architects, project managers, CIOs and business managers. I am sure they are not perfect - I would love some feedback on these if you feel like it - but hey, Elevator Pitches are not meant to be perfect. They are meant to cause interest, so that the conversation can continue. 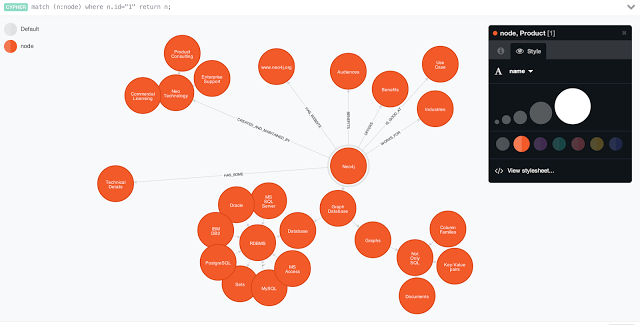 But then I wanted to have some fun and put the prezi into neo4j. 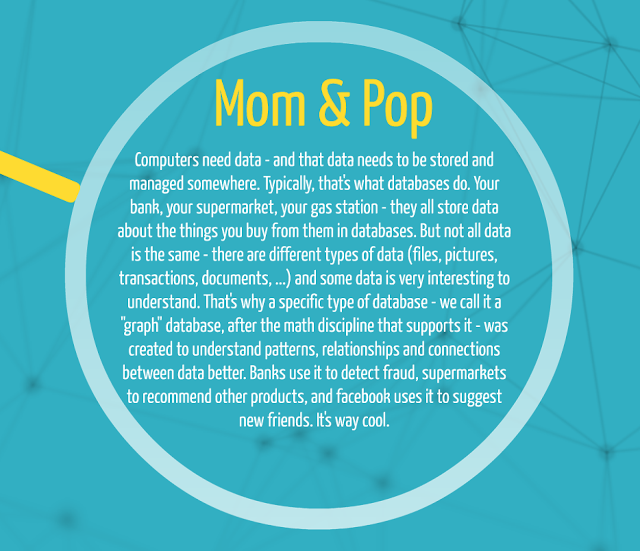 It's essentially the same thing as the prezi - just nicer :) ... Neo4j explaining itself to you - with neo4j! How cool is that? I have also created a little graphgist that you can take a look at. Download the gist from over here. That's about it. Hope you like it - as always feel free to comment or ping me if you want. Hey. Nice idea to use Neo4j to demo itself. Your link to your spreadsheet data is broken. Any chance you can fix the link. Thanks.